Moscow was accused of seeking ways to "shatter" NATO in the Pentagon’s 2018 National Defense Strategy. 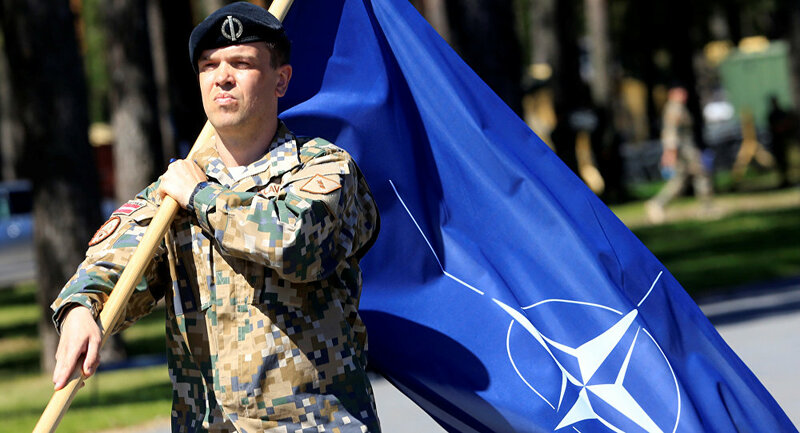 Tensions between Moscow and NATO members, especially in Europe, have intensified since the beginning of the Ukrainian crisis, which Western countries blame on Russia. U.S. Secretary of Defense Jim Mattis is planning to ask European NATO defense ministers in July to prepare their forces for a quick response in case of Russian aggression, Reuters reported. According to its anonymous sources, Mattis will ask that a total of 30 land battalions, 30 air fighter squadrons and 30 navy destroyer class ships be prepared and able to deploy within 30 days after being given the alert. "We have an adversary [Russia] that can move quickly into the Baltics and Poland in a ground attack […] We don't have the luxury of taking months to mobilize," one anonymous senior NATO diplomat told Reuters. The news agency pointed out that NATO's European members may have difficulties implementing the part of the US initiative involving air squadrons, as many of their jets and helicopters are grounded due to lack of spare parts, a situation which has now been further exacerbated due to the cuts to NATO funding made by Washington. Since 2014, Western countries have been groundlessly accusing Russia of fueling the conflict in the eastern Ukraine, scaremongering that Moscow engage in aggression against other European countries near its borders, especially Baltic States. Moscow firmly rejects the allegations and urges NATO states to stop anti-Russian hysteria and engage in constructive dialogue instead.